Special General Meeting to appoint Olive and Len Trevor as Patrons of our Society. Notes from the Meeting 19th October, 2017. 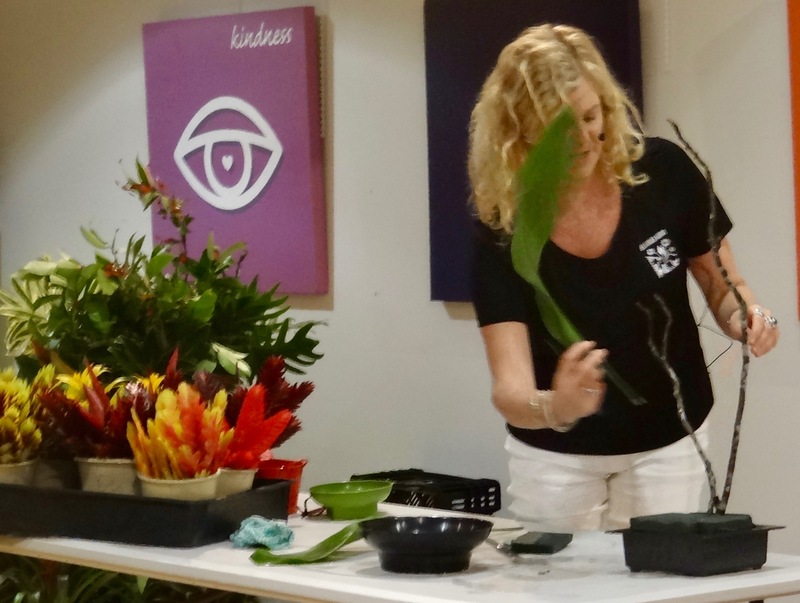 Guest Speaker: Amanda Meads - Creating Displays with Bromeliads. Why not share this Newsletter? Forward to a friend - Click here. Appointment of Olive and Len Trevor as Patrons of our Society. You will have been advised that our next meeting will be preceded by a Special General Meeting to appoint Patrons for our Society. 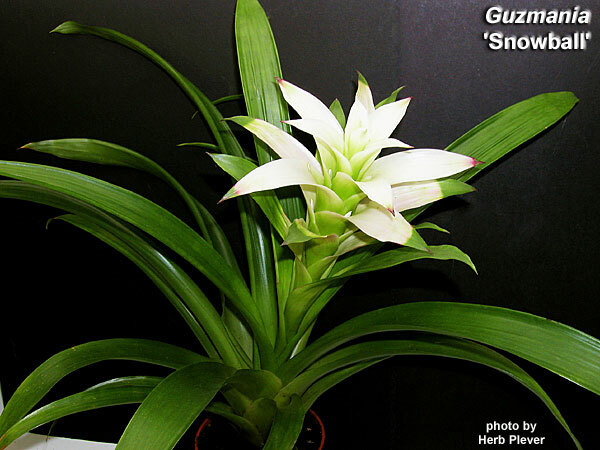 Plant of the Month was Guzmanias with Graeme Stay. 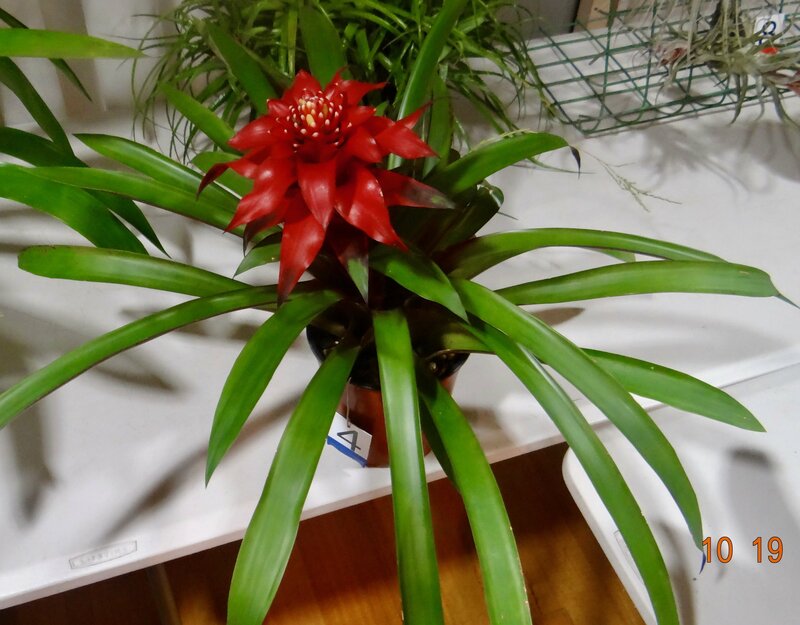 Thirteen years ago, Graeme’s father asked him to buy some bromeliads for him, and making that purchase “was the worst thing I did in my life !! “ He quickly became besotted with Guzmanias. He bought 24 from a deceased estate. 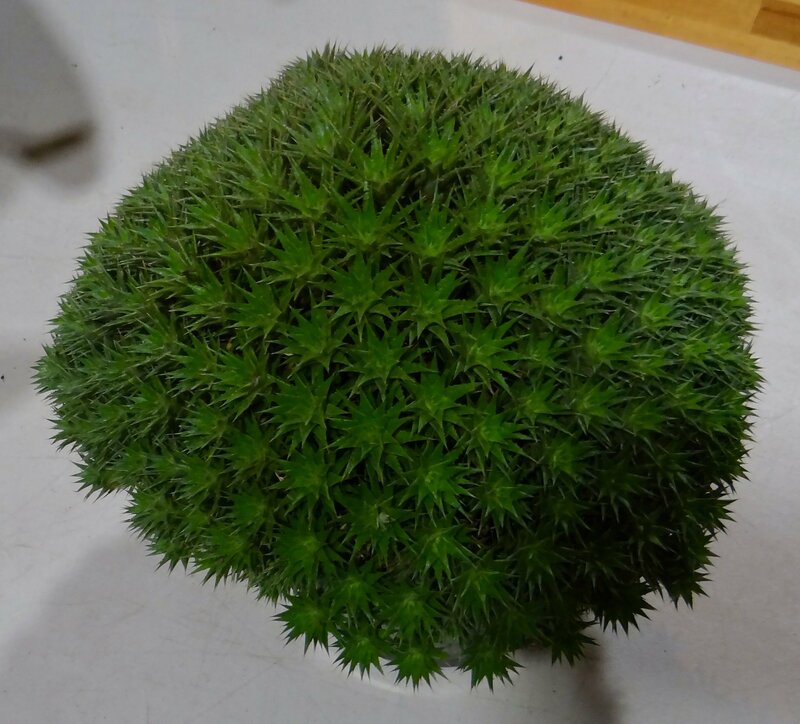 When he asked how to grow the pups, he was told “just cut them off with a knife and pot them.” Graeme followed that advice, and all the offsets died of bacterial infection through the freshly cut base of the offset. Lesson: you must let offsets ‘rest’ for 1-2 weeks for that cut area to “heal”. Graeme sources his plants from three main growers who import tissue-cultured seedlings in sterile flasks with 100 seedlings. These come from China and Belgium. However, there have been no new imports from China for the past year. Before that, Graeme imported at least 20 new varieties each year. 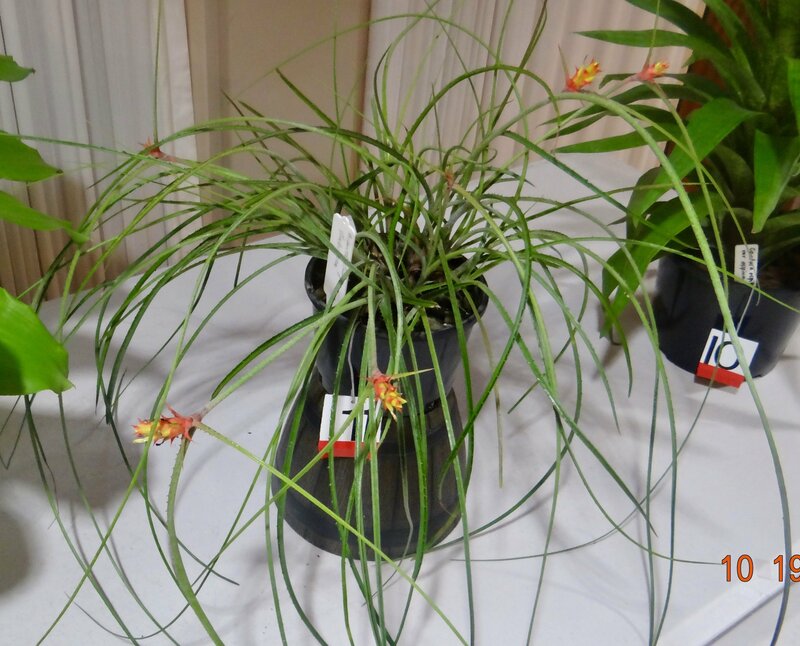 Graeme covered a table with his Guzmanias (see photo), and these included Guzmania ‘Merthyr’, with intense green foliage, and a tall red spike. 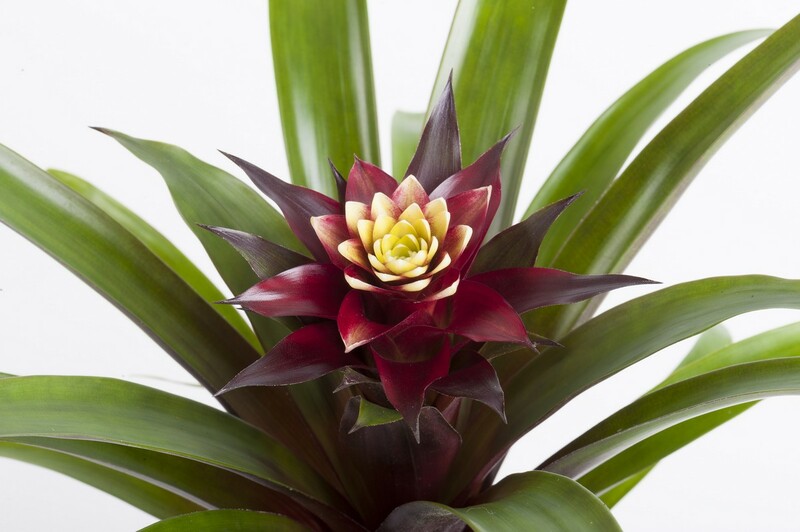 Guzmania is named after the Spanish naturalist, Anastasio Guzman. Guzman extensively traveled throughout South America and died while on an expedition in Ecuador in 1807. 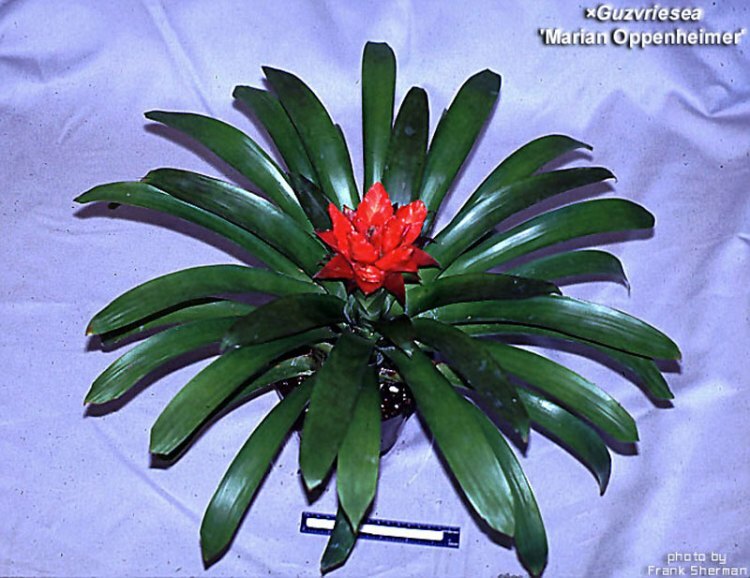 A short time after his death colleagues named this genus of bromeliad in his honour. ('Viminalis Rex' is the seed parent). 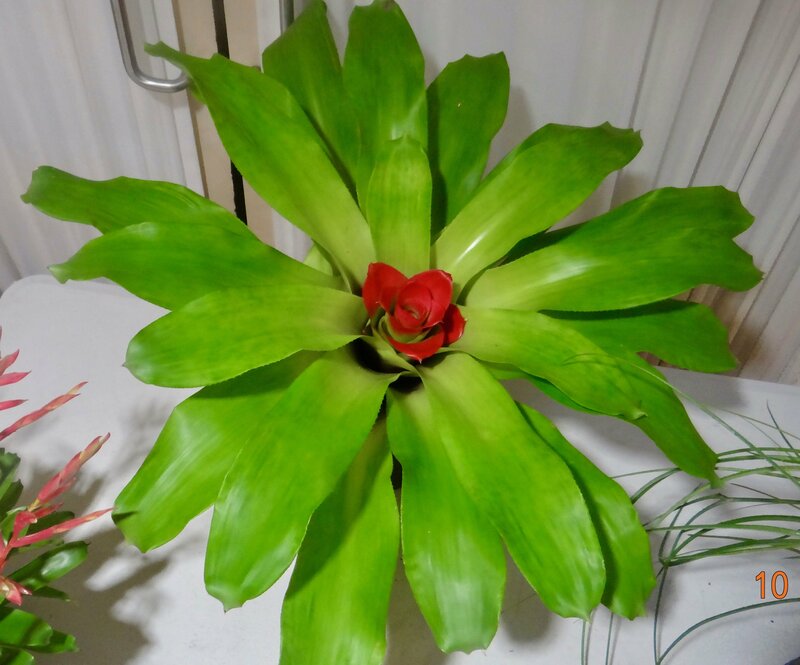 has the low-set bloom like sanguinea. Len Trevor imported the first Guzmanias into Australia and soon after they were hit by a severe frost, and had icicles on them! He feared the loss of $10,000 worth of plants. Graeme uses Scott’s Fertilizer with N:P:K of 15:11:29 and grows them under 70% shade cloth. Using double shade cloth can delay flowering by two weeks. He uses the same approach to cultivate Vrieseas as for Guzmanias. At the Last Ipswich Show, Graeme sold 40 small Guzmanias quickly. 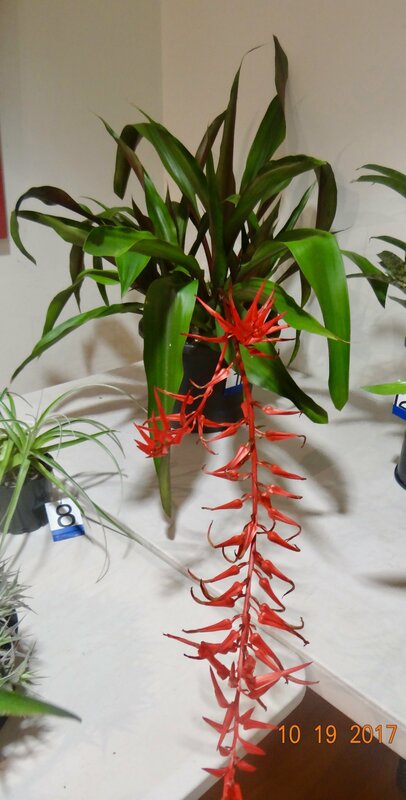 Guz teuscheri has a 1m inflorescence, brilliant orange colour (above). Guz pseudospectabilis has a 1m tall inflorescence, is more common in Colombia. It has a spike 1m tall, with a bright pink scape. 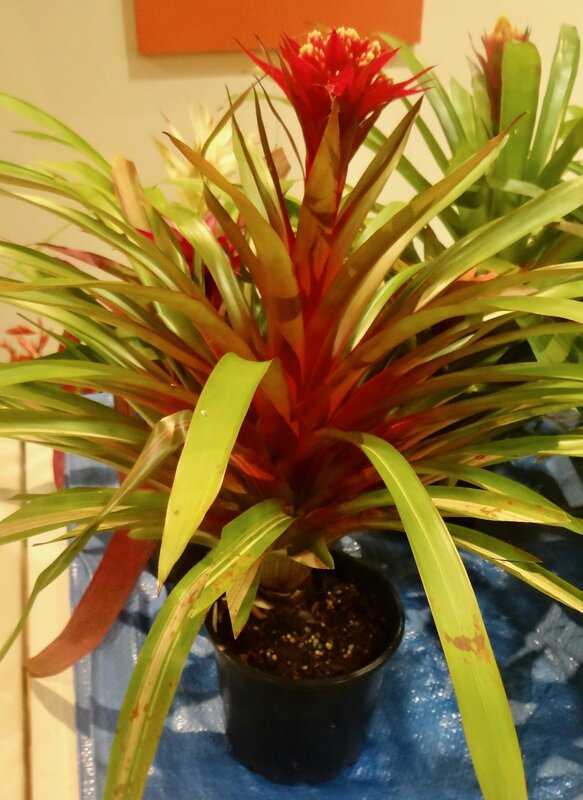 Pitcairnia palmoides has fab paddle-shaped foliage (below). Thanks for an interesting talk, Graeme. 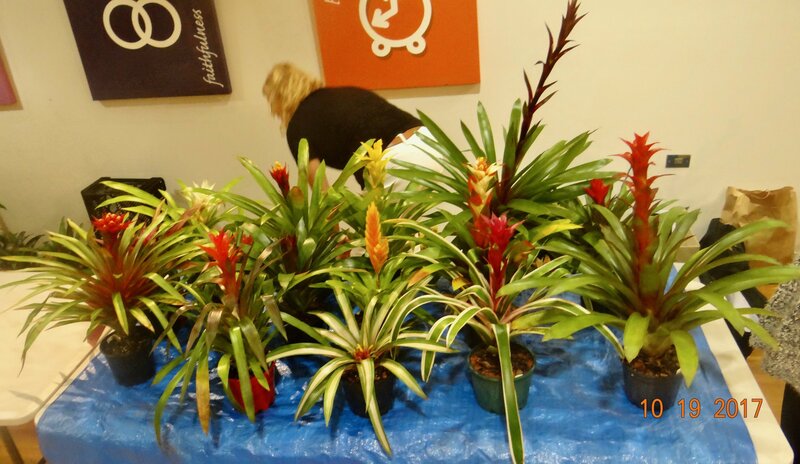 Guest Speaker was Amanda Meads who showed how to create flower displays with Bromeliad spikes. 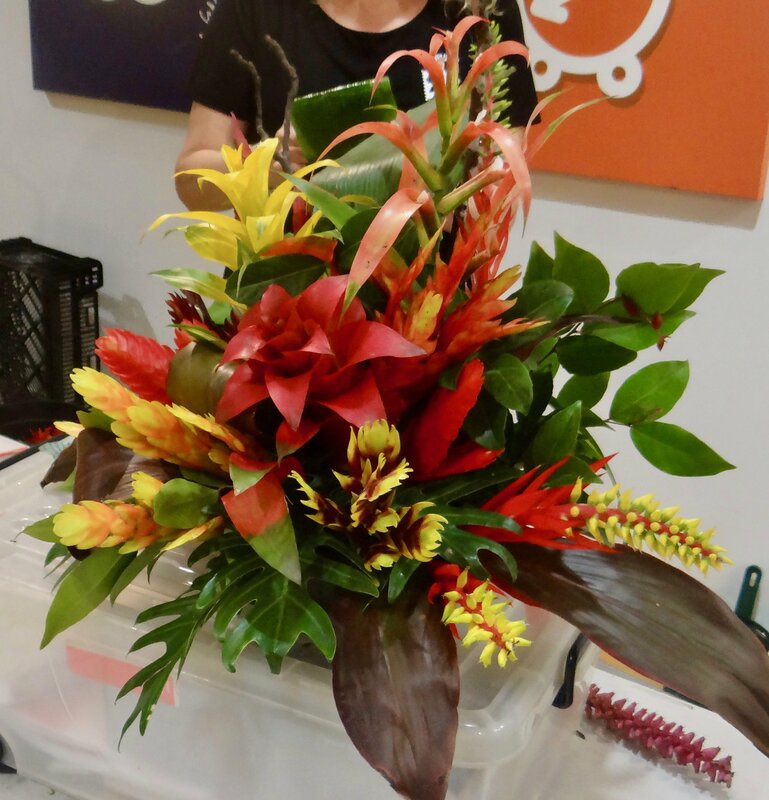 Amanda runs a professional Flower School graduating Florists. 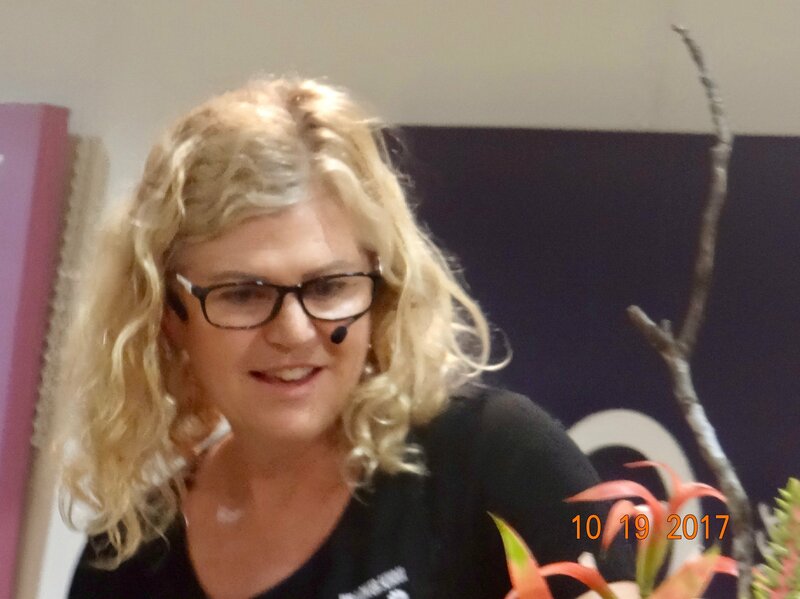 I first met Amanda when she shared her expertise at a Bromeliad Judges School where we trainee judges were shown to do wonderful things with bromeliads, making ‘Artistic Arrangements’ and ‘Decorative Containers’ that appear in our Show Schedule. Amanda has lead the team that was so successful at the recent EKKA R.N.A. Horticultural Show, where their display won prestigious Awards. Amanda also steers the team that creates the display for our Spring and Autumn Shows. 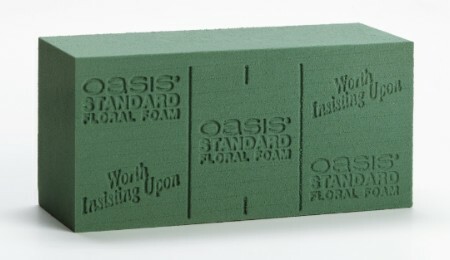 Amanda started with a base of floral foam ( by Oasis) cut to size. To the base were added various bits of greenery such as cordyline leaves, Xanadu, etc. She demonstrated how to put a curl in a big leaf using wire. Amanda uses wire extensively, finds it gives great flexibility. 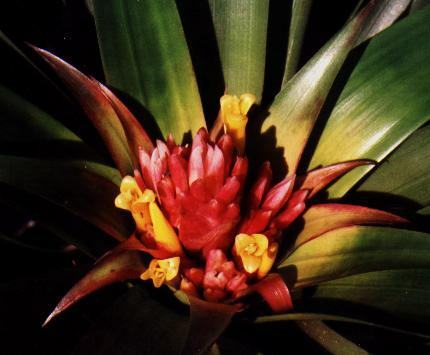 Then came the Bromeliad blooms. Principles of design illustrated by Amanda included the height of the display equals the width, bigger and darker forms employed in the centre, with lighter and smaller elements more to the periphery. Amanda took care to achieve a measure of symmetry in the display, while noting lines of sight, lines that draw the observer to a central point of interest in the display. Beware making the display too high; this draws the attention away from the display. Special thanks to Becky and Olive Trevor, and Pam Butler who generously provided the many Brom spikes used. And thanks Amanda for a great performance. 1st Neo ‘Bob’s Baby’ from Barb McCune. 2nd Neo ‘Enchantment’ from Barb McCune. 1st Tillandsia lorentziana from Ron Jell. 2nd Tillandsia streptophylla from Bruce Dunstan. 1st Deuterocohnia abstrusa from Barb McCune. 2nd Hectia tillandsioides from Ron Jell. 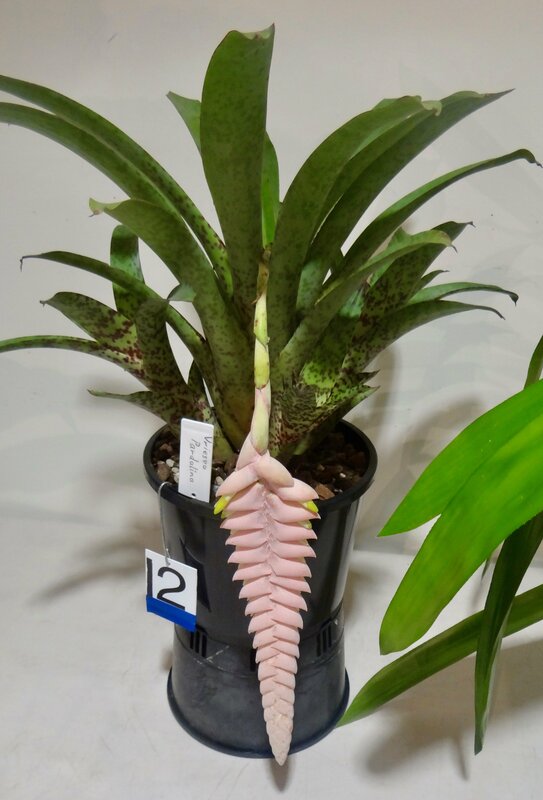 1st Vriesea pardalina from Barry Kable. 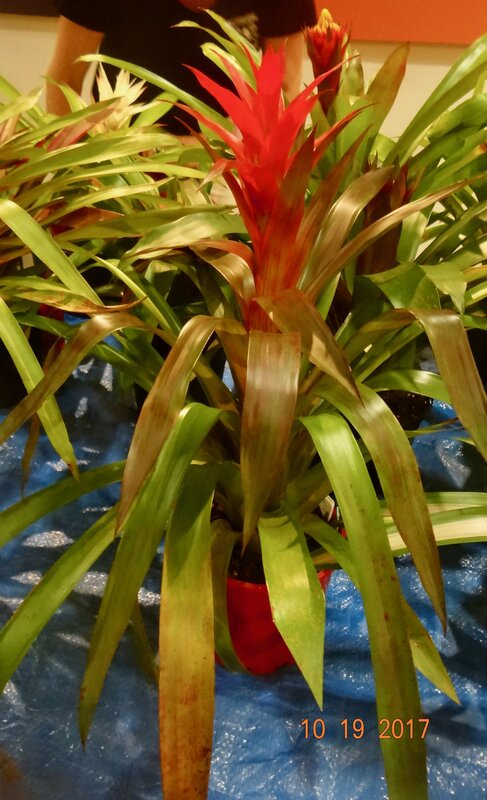 2nd Pitcairnia ‘Rhubarb’ from Barry Kable. 1st Neo 'Donna’ from Jenny Ittensohn. 2nd Neo hybrid from Jenny Ittensohn. 1st Tillandsia ‘Ty’. from Pam Butler. 2nd Tillandsia streptophylla from Maxim Wilson. 1st Deuterocohnia brevifolia from Livia Doidge. 1st Nidularium innocentii from Jenny Ittensohn. 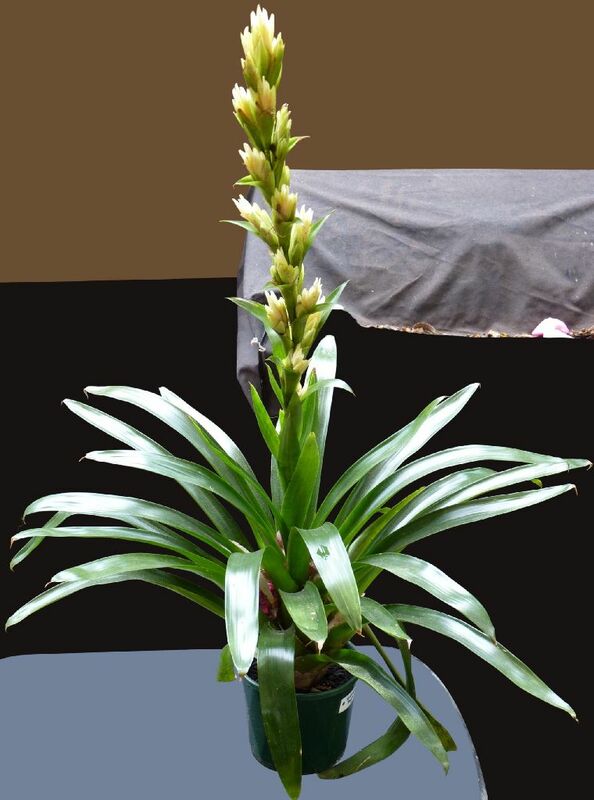 1st Vriesea ‘Velva Wurthmann’ from Sharon Born. 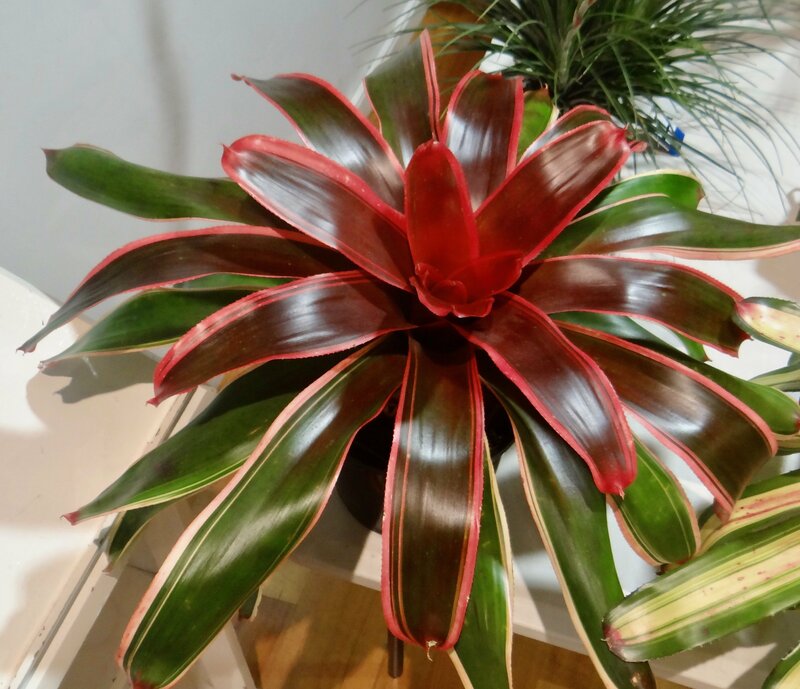 Neoregelia 'Bob's Baby' from Barb McCune. 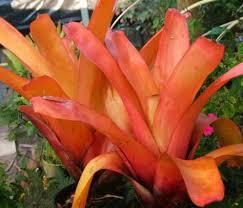 Neoregelia 'Enchantment' from Barb McCune. 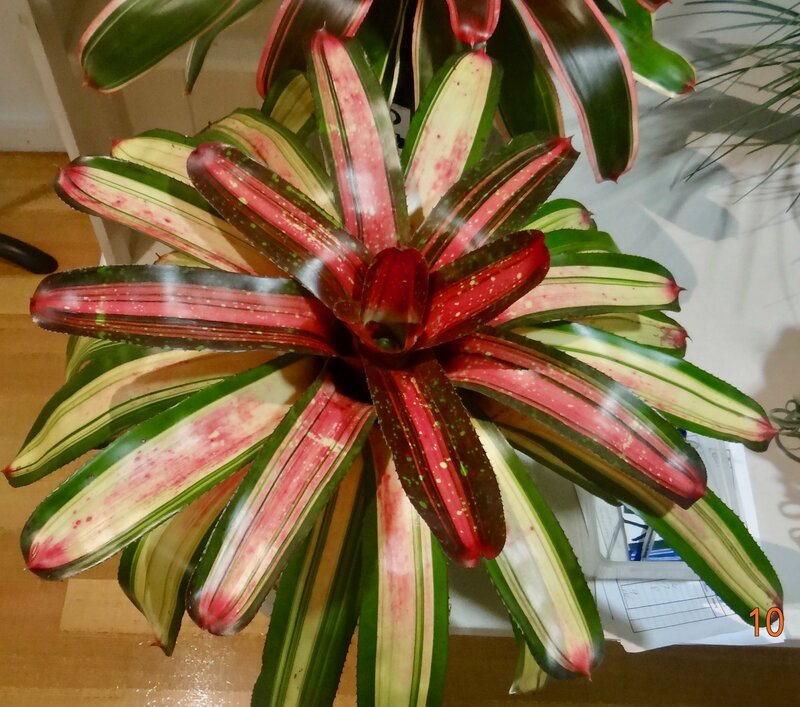 Vriesea pardalina from Barry Kable. Pitcairnia 'Rhubarb' from Barry Kable. Nidularium innocentii from Jenny Ittensohn. Deuterocohnia brevifolia from Livia Doidge. Christmas Party Thursday 7th December, 2017. Easts League's Club, 40 Main Street, Coorparoo. costs $40 per head. Pay John Olsen at the next meeting. Practical Class - Seed Raising with John Olsen. Plant of the Month Neoregelias and Nidularia with Barry Kable and Pam Butler. Guest Speaker Greg Aizlewood on "Red Imported Fire Ants". Popular Vote see schedule below. 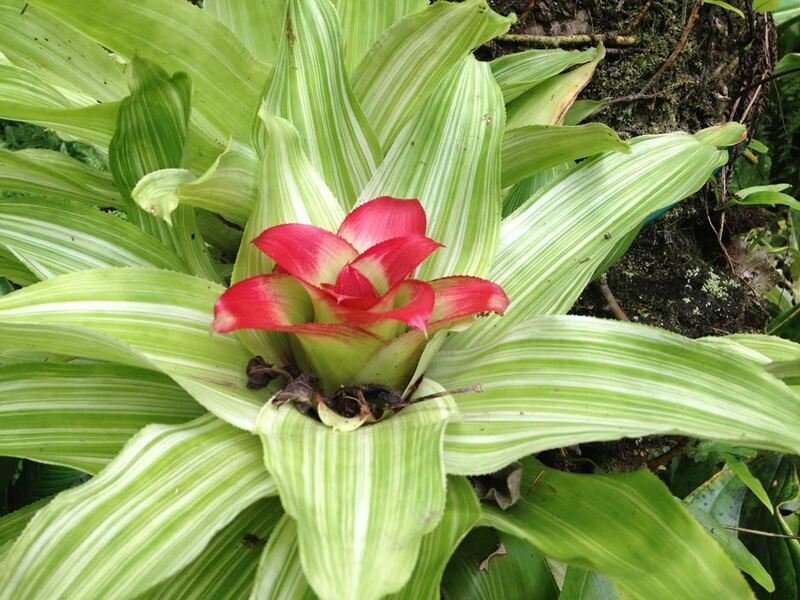 Practical Class- Pests and Diseases in bromeliads with Greg Aizlewood.